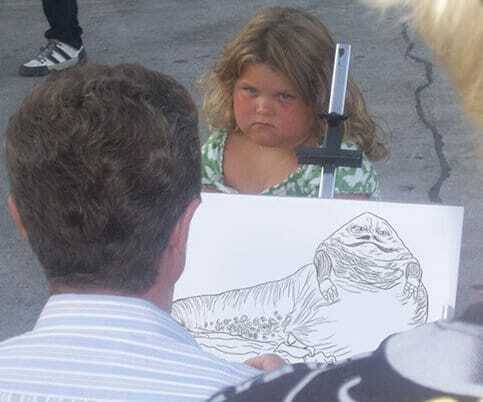 If You Have Drawn Something In Your Life, We Got Memes On It! The left one sketch is what I want to draw in my exam but when what I end up drawing is the right one! I thought the eyes would be perfect but the time limits me to settle for something worse! How is it? What’s the most similar thing that matches? The most similar thing is the hair. Well, my top button is open and what did you draw on the paper! He lives in the future. As he thinks that we don’t have to use the keyboard as the letters below the picture would help him to use copy and paste. Now I know his father and mother! They are giraffes! [ hint: look over the neck] Harry would be like, the best portrait of mine! Simple Steps to draw Horse! The shades of Horse were difficult to draw. My school teacher told me the same steps but I stopped over fourth steps as it looks like a horse! The stick human was my favorite part and relieving! I could draw any of my schoolmates’ human drawing! Just name them above the stick! 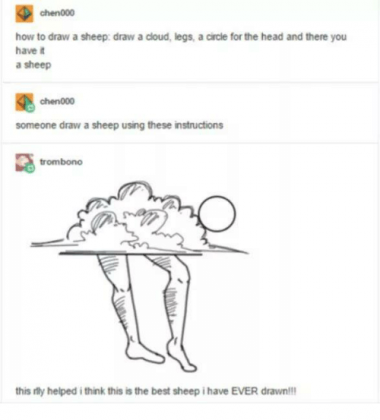 How to draw a Sheep? If you follow the instruction and draw it accordingly you will get a big zero on your exam paper! Trust me! My painting is the left part! It doesn’t look like Monalisa. As the right part got a smile and Monolisa never smiled! Dumba##. You had to draw human, not some weird angry animal! But it’s okay both looks same!